One of the star’s of 2008’s Pebble Beach Concours d’Elegance is now up for sale. 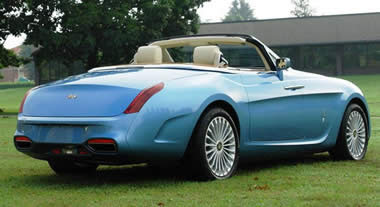 It was built as a one-off creation by Italian coachbuilder Pininfarina for a wealthy client. 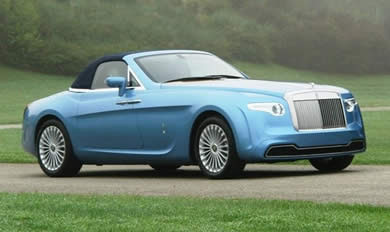 The car is a roadster based on the already exclusive Rolls-Royce Phantom Drophead Coupe. However unlike the original car it does away with the rear seats for a more sporting style. The car was commissioned by Roland Hall, a collector and the owner of a Rolls-Royce Drophead Coupe, asked Pininfarina to create a custom-built car that would evoke the appeal of the sumptuous cars of the 1930s. It was named after Hyperion, one of the Titans of Greek mythology, to underline its architectural and figurative power. The new owner of Hyperion will have to part with €4,500,000 for the privilege. Considering the car remains in Italy (rather than Mr Hall’s home in the US) suggest it may have been a little too much to find in these turbulent economic times.